Today was Eva’s last day at Little Blessings. 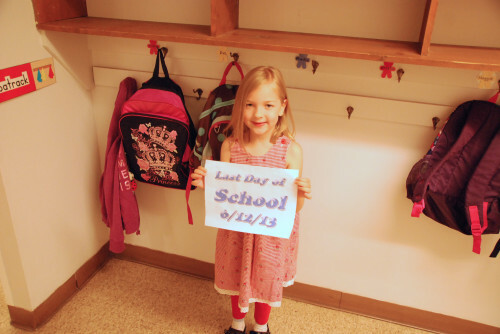 This has been a wonderful pre-school for her to get her academic start. We were so pleased with the teachers that she had both years and it was a bittersweet goodbye tonight at Graduation. Eva loved her time at Little Blessings as well and made some great friendships each year. She was very lucky to be in a class of 7 total kids with two teachers. She certainly got the individualized attention that she needed to excel. This morning I took some photos of Eva before she went to school as well as a little video about her year. I asked her questions like what she did this past year, what the class was like and what she wanted to be when she grew up (Chef and Waitress) although in the graduation program it said that she wants to design clothes for people and animals. Tomorrow it will be something else. 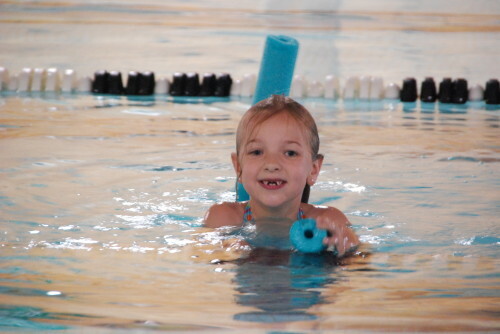 Today was also Eva’s last day of swimming lessons. She did well this class and we didn’t get the recommendation as to what class she should do next. I hope that we can get her some swim time in each week all Summer to improve her ability. She certainly enjoys swimming but needs more work on keeping her body positioned better for more control. She ends up spinning in circles straight up and down a lot of the time. We’ll work on that with her. She looks so cute in her cap and gown. How exciting! She looks so happy to be on her last day of school too.